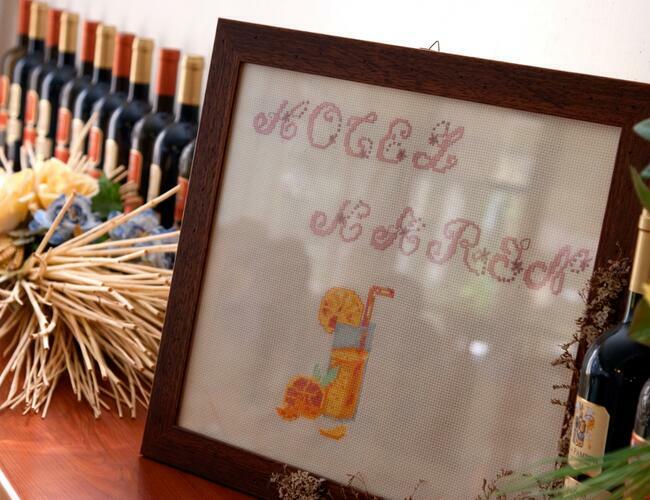 The Hotel Karin in Rimini welcomes you to the Riviera of Romagna! 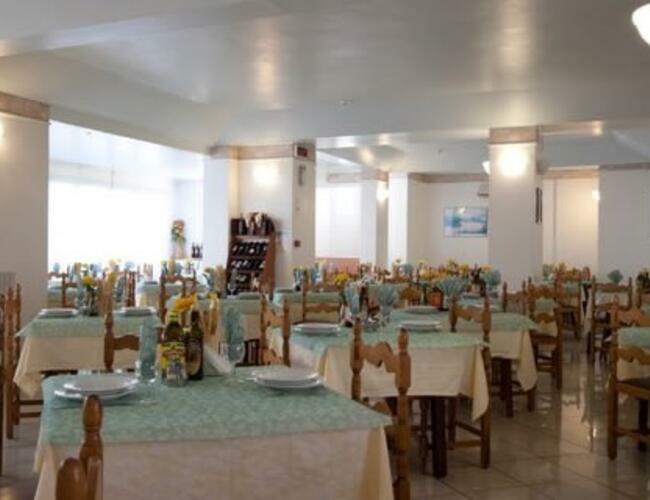 You will be greeted by the owners, Angelo and Cristina, and embraced by a modern atmosphere where friendliness and courtesy combine with the traditional efficiency and hospitality of Romagna. Everything is designed to make your holiday even more delightful and relaxing. 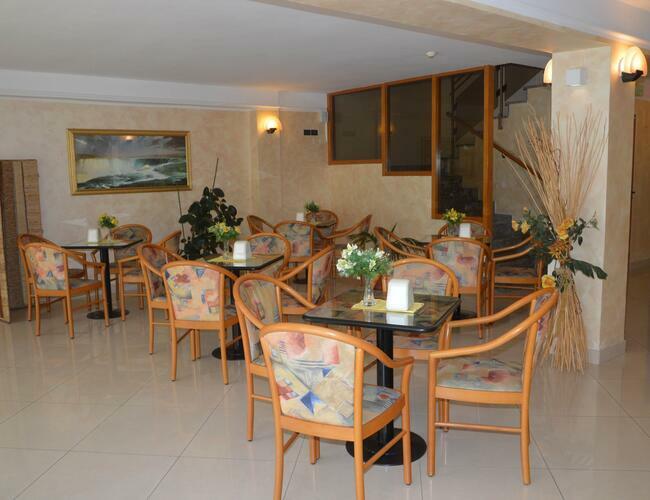 The Hotel Karin is in Marebello, Rimini, just a short distance from the beach. Those who love the outdoors and sports enthusiasts will find tennis courts and gardens with games areas for children nearby and there are pubs and discotheques for young people, too. 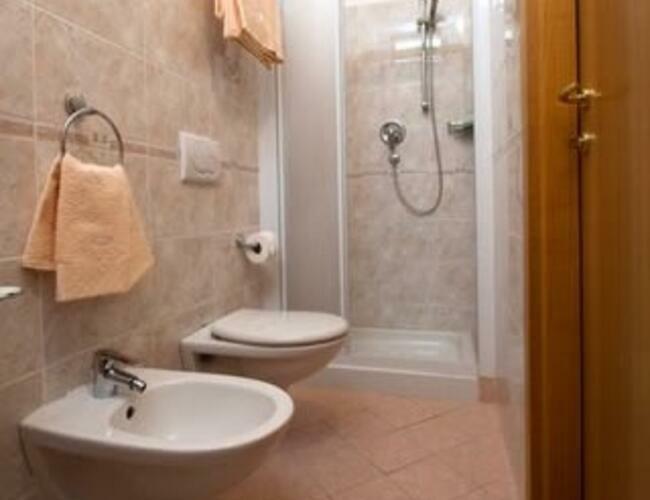 Thanks to good public transport links, guests can easily reach Rimini thermal spa or the famous theme parks of the Adriatic Riviera and there are great shopping outlets for ladies. Our hotel in Marebello, Rimini also offers all-inclusive basis formulas, with week-long stays and holidays in Rimini with everything included. Traditionally, the Hotel Karin addresses families with children and our services, facilities and comforts focus particular attention on the needs of our youngest guests and their parents, designed to ensure their stay is as relaxing as possible. Supervised and reserved parking facilities are available close to the hotel. 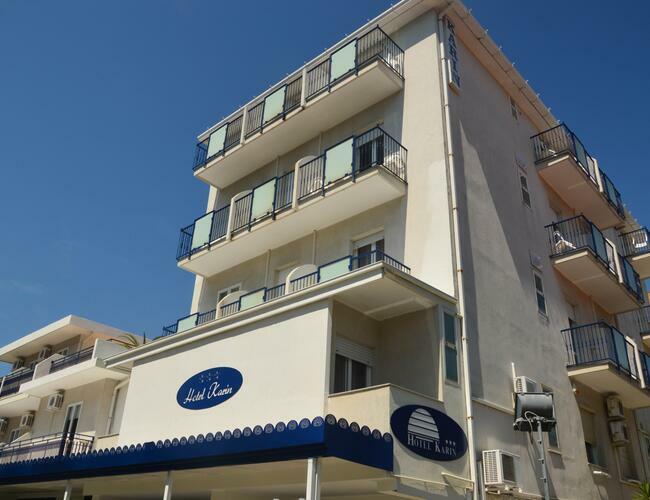 The Hotel Karin, which is fully air-conditioned throughout, offers all modern comforts and facilities. It always aims to improve its offer, in order to guarantee guests a comfortable and unforgettable holiday. Fully air-conditioned and heated, free WI-FI, bar, restaurant, satellite TV lounge, radio diffusion, small library, spacious veranda garden, sun terrace, lift, enclosed parking facilities subject to availability (free), supervised, reserved and insured parking facilities (subject to payment), free use of bicycles, open 24 hours a day. Welcome drink, board games, automatic alarm clock, flexible menu and mealtimes for children, groups welcome. 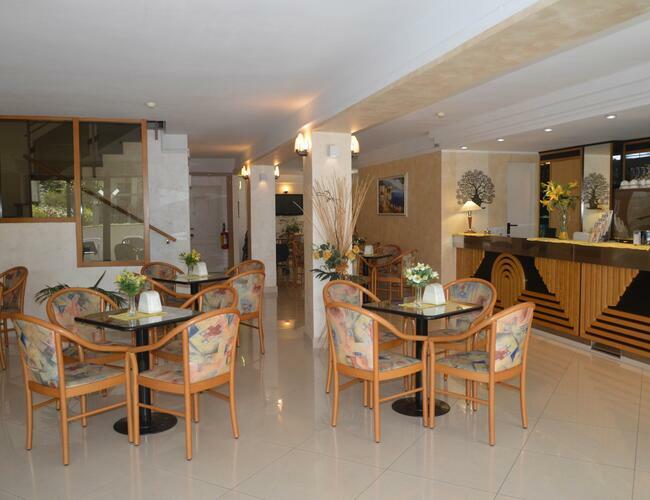 Our hotel is modern and fully air-conditioned throughout. All facilities and services offered in our rooms are constantly being improved to guarantee our guests a delightful holiday. All rooms at the Hotel Karin are new and have en-suite bathroom. Guests will find bright, spacious rooms that are tastefully furnished and guarantee maximum comfort throughout their stay. Air-conditioning is available on request. 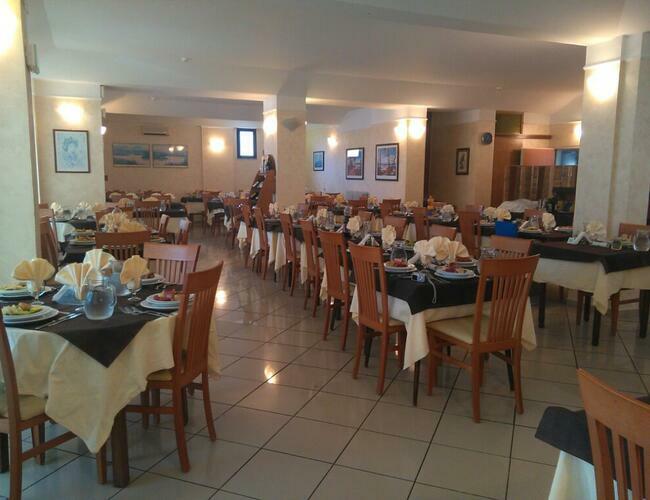 The Hotel Karin can also be the ideal place for those who are staying in Romagna for business. 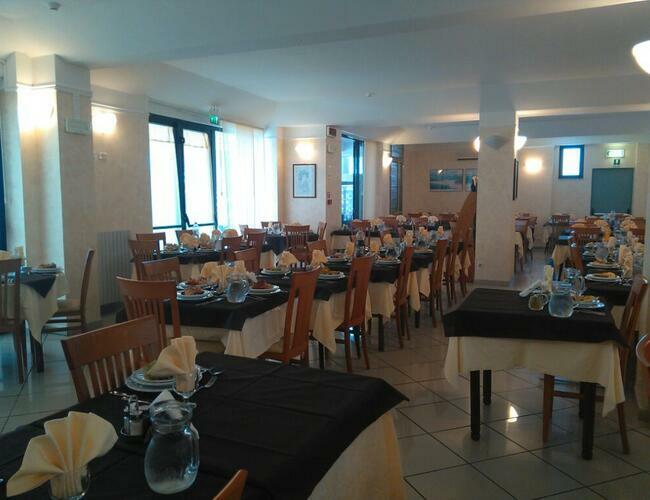 Just a short drive from the new conference building in Rimini and about fifteen minutes from Rimini Exhibition Centre, the hotel is in an area where guests can relax after a long days work or dine in one of its many restaurants. And it couldnt be better if on the other hand guests want to relax in a pub or other nightspot, given its central position, close to the sea. 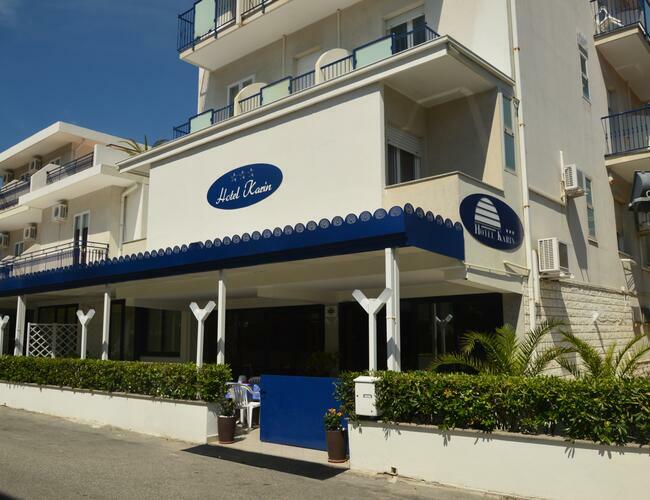 We are waiting for all 'Karin hotel stays: in the Bed & Breakfast starting from € 23,00 per person in half board from € 30,00 per person in Full Boar... d starting from € 35,00 per person All inclusive with full board from € 40.00 per person. Or approffitta of our weekly all-inclusive package at € 268,00 per person including: - number of days in standard rooms completely renovated with new bathrooms with shower - full board - lunch and dinner table service with a menu of meat and a continental buffet -Rich fish breakfast with sweet and salty with both hot and cold drinks. - Drinks in the dining room without limit of consumption. - 1 umbrella and 2 sunbeds on the beach - for every day of your holiday free and unlimited inputs: all 'waterslide marebello La Perla behind our bathroom arrangement Lupi di Mare 102 and the Beach Village water park in Riccione round service and back included. - car parking. 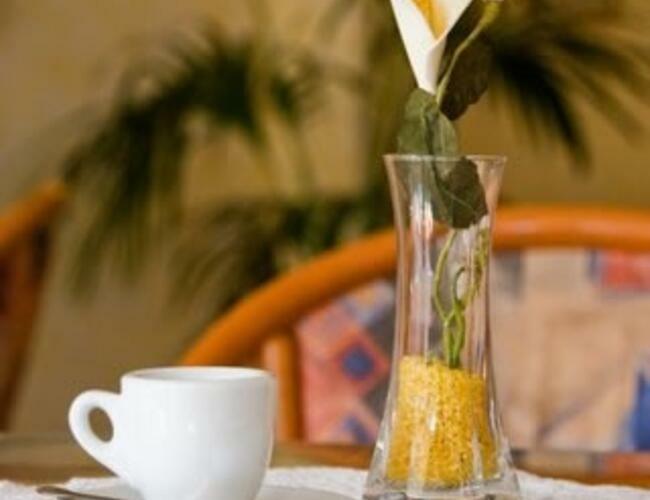 - air conditioning in room with climate control - wi fi throughout l 'hotel including the bedroom. - Mini Club for children from 5 to 12 years at mealtimes - Free bicycles - KIDS FREE UP TO NINE YEARS AND THEN ALL TO 50%. 1 adult + 1 bambin up to 12 years 50%; 1 adult + 1 child from 12 to 14 years 30% discount. 1 adult + 2 children from 3 to 14 years = 2 lines. Family plan: 2 adults + 2 children (under 16) pay three installments Three adults in the same room -5% per person. Four adults in the same room -7% per person. l 'karin hotel offers discounted tickets for the parks of the Riviera (Mirabilandia, Fiabilandia, Oltremare, Aquarium of Cattolica, Italy in Miniature). TO ESTIMATES AND BOOK ON LINE BOOKING HOTEL KARIN *** Get a free quote at: info@hotelkarin.it cell phone +39 3275766421 +39 0541373171 respond quickly to your needs. Tax not stay, not be combined with other offers. PRICES MAY VARY ACCORDING TO EMPLOYMENT. 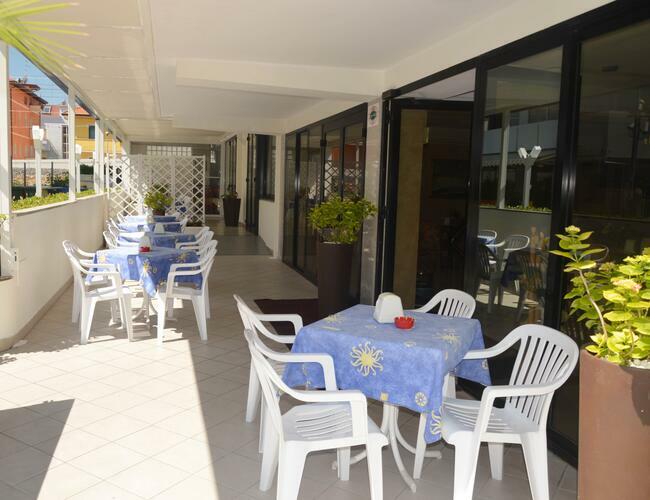 Includes: full board, WI-fi throughout the hotel, water with meals, finally for all your stay unlimited inputs all'acquascivoli a few meters from our private beach and the Beach Village water park. 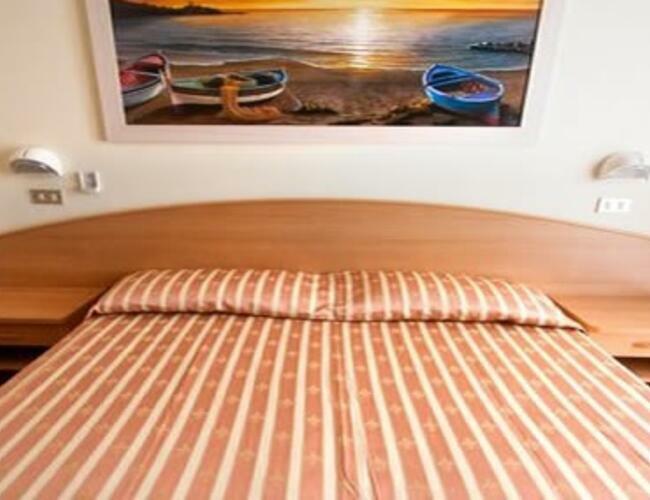 It includes: full board, water with meals, air conditioning in the room with independent, in our private beach umbrella per room and a cot per person, free Wi-fi throughout the hotel, finally for all your stay Unlimited inputs all'acquascivoli a few meters from our beach and the Beach Village water park. Includes: full board, drinks with meals (water and house wine, orange juice and cola), Free Wi-fi throughout the hotel, air conditioning Room with independent, in our private beach umbrella per room and a cot per person, reserved and guarded parking with shuttle service 24 hours on 24, finally for all your stay all'acquascivoli inputs a few meters from our private beach and the Beach Village Water park. 2 to 9 years -50%, from 10 to 14 years -30%. Three adults in the same room -5% per person. Four adults in the same room -7% per person. The half-board -5  (breakfast, dinner, bed.). Air conditioning  5 per day per room. 2 adults + 2 children (under 14) pay three full rates. child free up to 10 years from 20 May to 17 June when staying in a room with two adults, second child up to 12 years -50%, from 12 to 14 years old discount of -30.
children free up to 6 years from June 18 to June 30 when staying in a room with two adults, second child up to 12 years -50%, from 12 to 14 years discount of -30.
free child up to 3 years from 1 July to 31 July when staying in a room with two adults, second child up to 12 years -50%, from 12 to 14 years discount of -30. * Prices are not compresivi dellla tourist tax ( 1.50 per person applies to a stay of 7 nights, children up to 14 years are exempt).